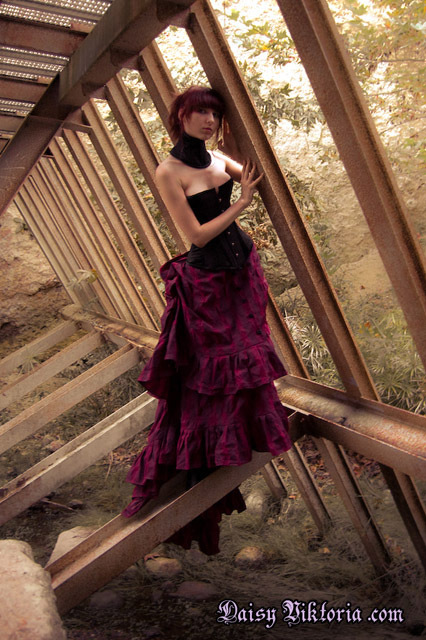 Both ensembles are centered around corsets. Anya’s ensemble includes both an overbust and a neck corset, both made of satin and lace. Her skirt is based on authentic Victorian clothing.